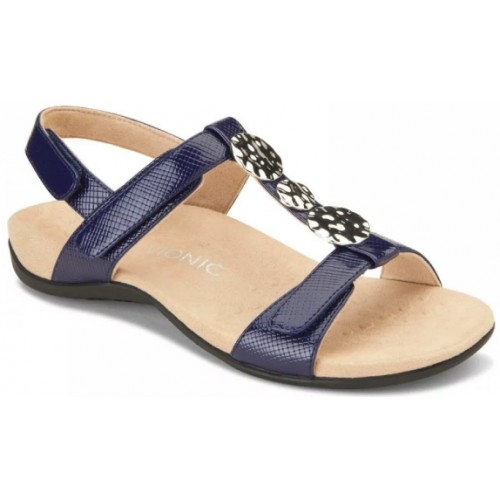 Vionic Farra is a ladies sandal. It features a man-made upper with a micro fibre footbed. They have Vionic's Orthaheel Technology built-in. The orthotic is incorporated into the sandal and shown to be effective in helping to treat heel pain. It is biomechanically designed to hug the arches and support your feet in comfort making them great summer wear. 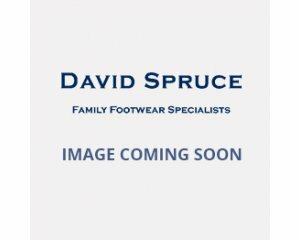 Three Velcro fastening straps, two over the foot and one around the ankle provide adjustability and a secure fit whennon those long summer walks. 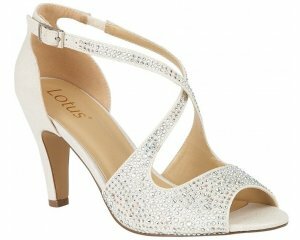 The removable metallic design allows you to customise the sandal to your own style. Step into comfort with Vionic Farra!